A much anticipated sequel to the hugely successful Lo que escuchó la mariquita. 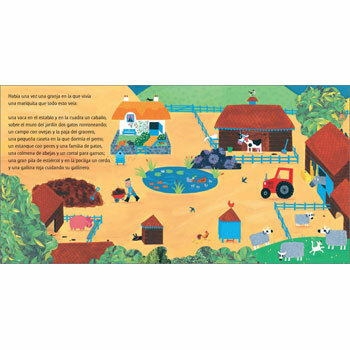 Those crafty robbers Hugo el Zurdo and Len el Largo are out of jail, and they're heading back to the farm with another cunning plan to cause trouble in this fantastically funny farmyard story. 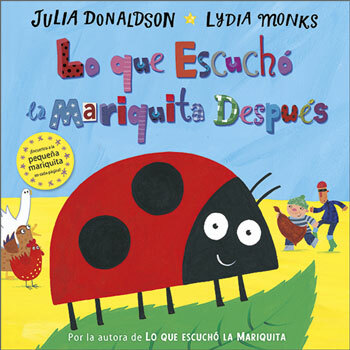 Lo que escuchó la mariquita después is written entirely in Spanish as it is aimed at native Spanish speakers. 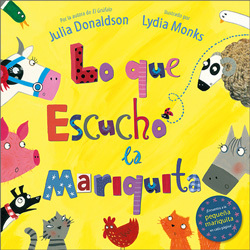 This book is published in Spain and so uses Castillian (European) Spanish.